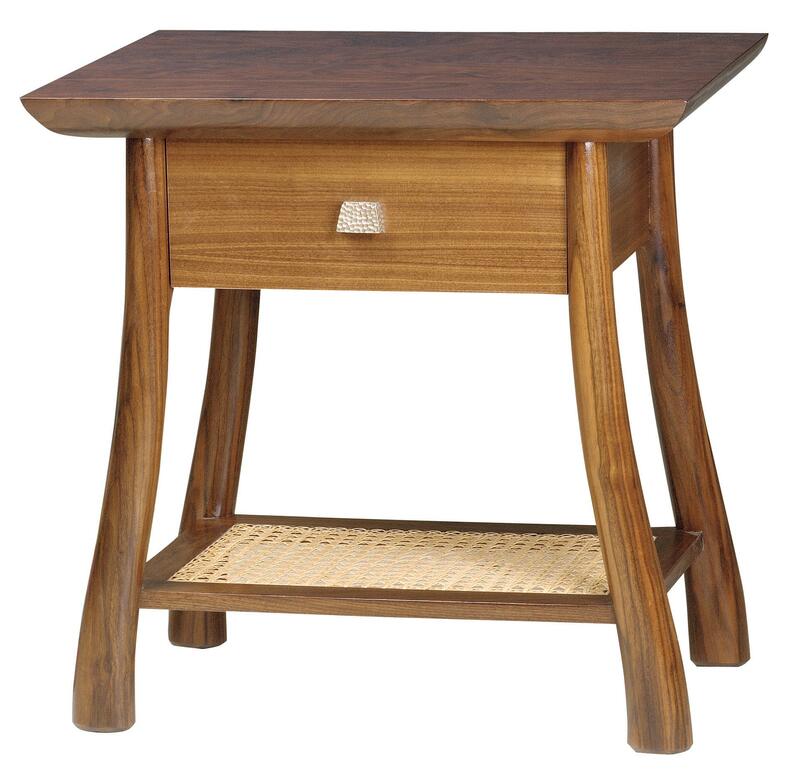 Our Rickshaw nightstand is carved from solid walnut and normally features a beautiful hand-woven reed shelf, asian inspired legs and a hand-crafted chiseled pull to complete the look. It is a beautiful and versatile piece of furniture that can be placed by the side of the bed or used as an end table in the living or family room. That being said, one of our favorite stores, Egg & Dart Ltd out of Denver Colorado added our dragonfly pull to the drawer, adding a bit of whimsy and changing the look completely. The same effect could be achieved with our lizard pulls or any of our floral designs. photo courtesy of Egg & Dart Ltd.
To view our complete line of hardware and get the latest news on what is happening at Martin Pierce Custom Hardware, please visit us at www.martinpierce.com. 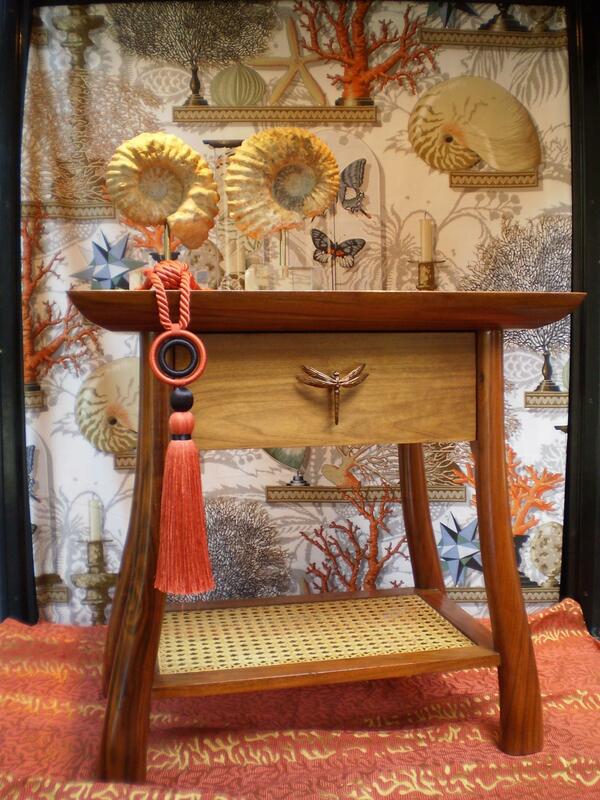 This entry was posted in Uncategorized and tagged custom end tables, custom nightstands, egg and dart, egg&dart ltd, hand carved mahogany, martin pierce custom hardware, nightstand. Bookmark the permalink.